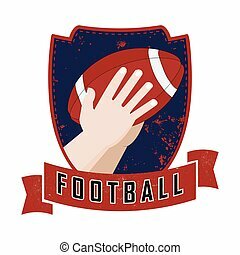 Hands catching an american football. 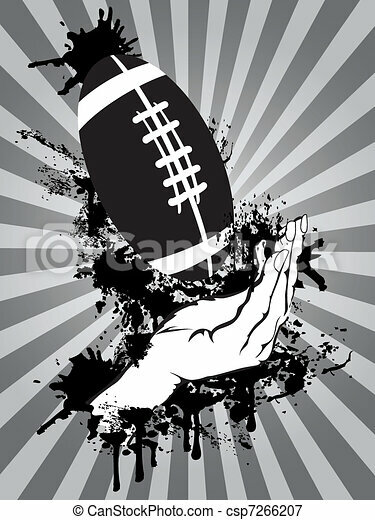 The grungy background of hands catching an american football. 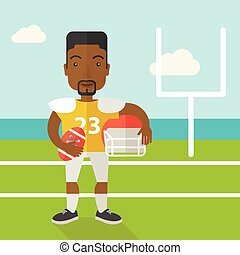 An african-american rugby player with ball and helmet in hands standing on the stadium vector flat design illustration. Square layout. 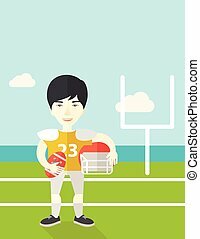 An asian rugby player with ball and helmet in hands standing on the stadium vector flat design illustration. Square layout. 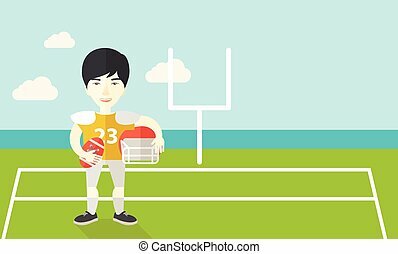 An asian rugby player with ball and helmet in hands standing on the stadium vector flat design illustration. Vertical poster layout with a text space. 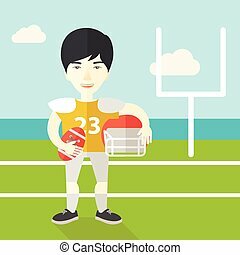 An asian rugby player with ball and helmet in hands standing on the stadium vector flat design illustration. Horizontal layout with a text space for a social media post.